Sandisk Extreme Pro SDHC Memory Card (Class 10). 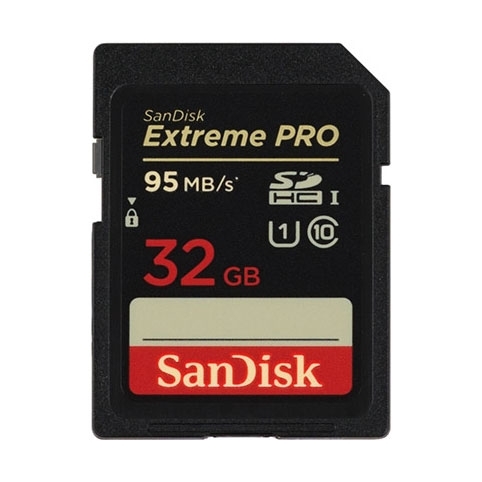 Get the fastest SDHC or SDXC card on the market with the SanDisk Extreme Pro SDHC or SDXC UHS-I card - the professionals' choice for high-speed burst shooting, supports capturing cinema quality Full HD (1080p), 3D, and 4K video and fast data transfer for post-production workflow efficiency. Delivers up to 90MB/s write and 95MB/s read rate for extreme speed.